One of the most common calls we get is when a family is looking for information on a drug intervention. When someone you care about has a drug problem, it seems like we are always waiting for the other shoe to drop. Sometimes things go fine for awhile, but there they are again…acting funny, eyes are bloodshot, their words are slurring. When confronted, occasionally they are honest, but more often it becomes an argument just to get them to tell part of the truth. Life with a drug addict is exhausting, emotionally and financially draining, and can begin to consume our thoughts and lives, even though we aren’t even the ones using. But once in awhile, we catch a glimpse of the real person underneath. The one who we think wants to turn it around, but doesn’t seem to know how. So we start thinking about reaching out for help…to do for them what they are incapable of doing for themselves. Although the substance itself isn’t usually the true problem in terms of recovery, it is important to understand that each substance abused does require a different approach, especially when we are dealing with drugs. A drug intervention is handled differently than a standard alcohol intervention. There are worlds of difference as to why this is. An experienced Interventionist will handle your individual situation differently depending on which drug is involved. Because drug interventions must be well thought out in terms of the process, it is important to use the services of an interventionist specializing in specific drugs and the accompanying behaviors with each. There exists within the drug world distinct cultures. Drug intervention is not just an intervention on a user who abuses drugs, but often an intervention on their whole lifestyle. When someone uses drugs they often adopt an entire lifestyle, attitude, and outlook. For example, not only do Cocaine users and Heroin addicts have completely different drugs of choice, but they have entirely different lifestyles, as well as behaviors involving their drug lives. A cocaine user usually binges on weekends, but usually, a Heroin addict needs a daily drug in order to avoid getting sick. A Heroin user usually uses in the morning, and ideally privately without others. A cocaine user in early stages is usually more of a social binge user. Usage of cocaine usually begins at night. In addition to different behaviors, there are distinct attitudes that develop over time depending on the drugs being abused. With the recent legalization of marijuana movement, someone who has become addicted to marijuana may be a daily user but often claims that it is legal in many states, or even claims that it is “medicine”. They, too, have adopted many of the characteristics of other marijuana users, and this has to be taken into consideration. It is important that during your drug intervention you understand personally the lifestyles involved in the various drugs of choice. Although each of our interventionists at Intervention Services is fully trained to handle each of the majority of drugs being abused in our culture today, fine-tuning a drug intervention by choosing an interventionist who has personally recovered from the drugs your loved one is abusing can also tip the scales from a chaotic intervention on an unwilling addict, to an intervention on someone who feels that you have brought someone out who truly understands their life. Alcohol is technically a drug, however, most people put alcohol into it’s own category. Refer to an alcoholic as a drug addict and see the reaction. Due to the legality and social acceptability of alcohol we generally refer to those addicted to mood altering substances as either an “alcoholic” or a “drug addict”. Also, drug users are often more dishonest than an alcohol abuser. Because many drugs are often illegal, a drug user begins his or her drug use in a condition of lying, criminality, or dishonesty. An alcohol user is usually the opposite, claiming such things as “everyone drinks”. In dealing with a drug addict we generally have two types of people needing a drug intervention, each of which is dealt with in a different way, a binge user and a daily or maintenance user of drugs. 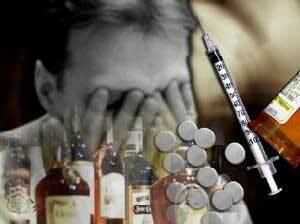 The binge user is someone who uses drugs periodically after which each successive use usually become more pronounced. Performing a drug intervention on a binge user is generally an issue of timing. Depending on the drug involved, sometimes it is best to wait until after the binge. To understand more about a specific drug, please select from the links listed below to comprehend how each drug intervention is different. Again, a lot of the structure of a drug intervention on a binge user can be dependent on the types of drugs involved. When intervening on a binge user, it is usually not as simple as just convincing them to stop using…but teaching them how to stay stopped. The daily user is someone who uses drugs every day in order to maintain their habit. As is the case with the binge user, a drug intervention on a daily user can also be handled differently depending on the drug involved. 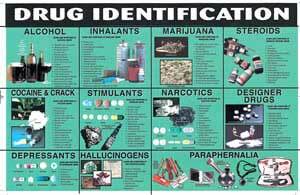 To understand this, please chose one of the specific drugs listed below in order to best comprehend how each drug intervention is different. Again, a drug intervention on a daily user is often dependent on the types of drugs involved. Our drug intervention counselors are here for you If you are having difficulty in determining exactly which drugs your loved one is using, please contact our addictions counselors to help you determine which at 1-877-478-4621.